Have you been busy and struggling with time or finding no inspiration for your next meal? Here’s an idea for a side dish that might give you something to think about. Cook in the microwave on high heat for 10mins. 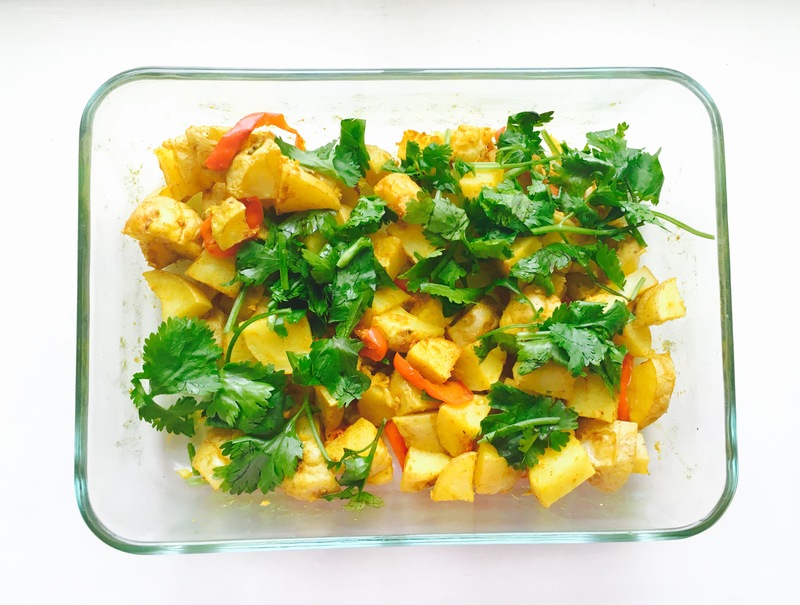 Once done add chopped coriander leaves and mix while hot to help the coriander release its flavor into the potatoes!! Yep, I was surprised too! Thank you!